I am new to this forum. I have been using Seamly2D for over a month. It’s a very interesting program. That’s my difficulty. I make a bucket hat pattern. 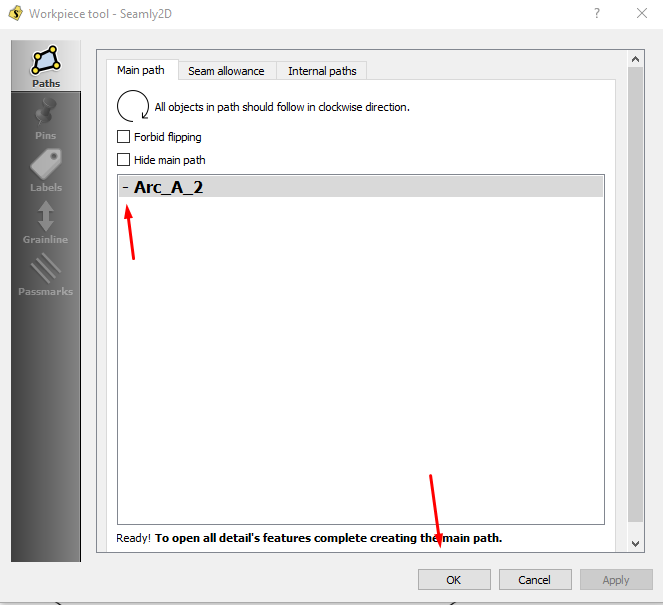 When I select the Elliptical Arc and press Enter, the LAYOUT window opens, but I can not press OK in this window. I made several different attempts, but nothing works. I even added points. Français : Je suis nouvelle sur le forum. J’utilise Seamly2D depuis plus d’un mois. C’est un programme très intéressant. Voilà, ma difficulté. Je fais un patron de bucket hat. Lorsque je sélectionne l’Elliptical Arc et que j’appuis sur Enter, la fenêtre LAYOUT s’ouvre, mais je ne peux pas appuyer sur OK dans cette fenêtre. J’ai fait plusieurs tentatives différentes, mais rien n’y fait. You either need to hold the Shift key when selecting the arc or right click on the arc and select ‘Reverse direction’. When you create the arc, you probably told it to start at 0 degrees and end at 360 degrees. 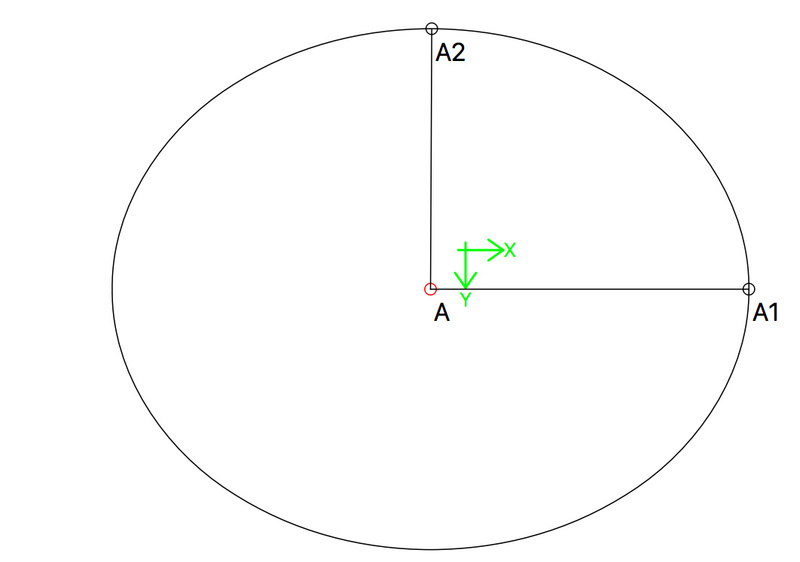 This will create an arc that goes in an anti-clockwise direction. When selecting for the layout, one must always work in a clockwise direction. thank you very much! Indeed, my curve was reversed. There is no arrow to indicate the direction. And I did not press shift. I don’t understand. Is it working now? Was the OK available? Yes, I know. An arc doesn’t have an arrow until you place your cursor over it to select it. They are mostly used to indicate where a node should be placed rather than as a part of the pattern, however, you can mostly remember that they go anti-clockwise and hold the shift key when selecting them. If that doesn’t work, then try again without holding the shift key. Oui, cela fonctionne très bien ! La direction des arcs ne s’affichait plus. J’ai redémarré l’app, et les flèches sont réapparues. Yes, it works very well! The direction of the arches was no longer displayed. I restarted the app, and the arrows reappeared.